Fortunately, Hungarians are super friendly, so when I reached the all-important candy aisle, I recruited a stylish young local to help me out. For the rest of the market, I was on my own and just snapped photos of what looked interesting and hoped I would be able to figure out what they actually were later (I ended up having to post several photos in a Hungarian forum with a plea for translations– as a bonus, I got some great tips from locals along with the translations). Shopping a Hungarian supermarket in Budapest. 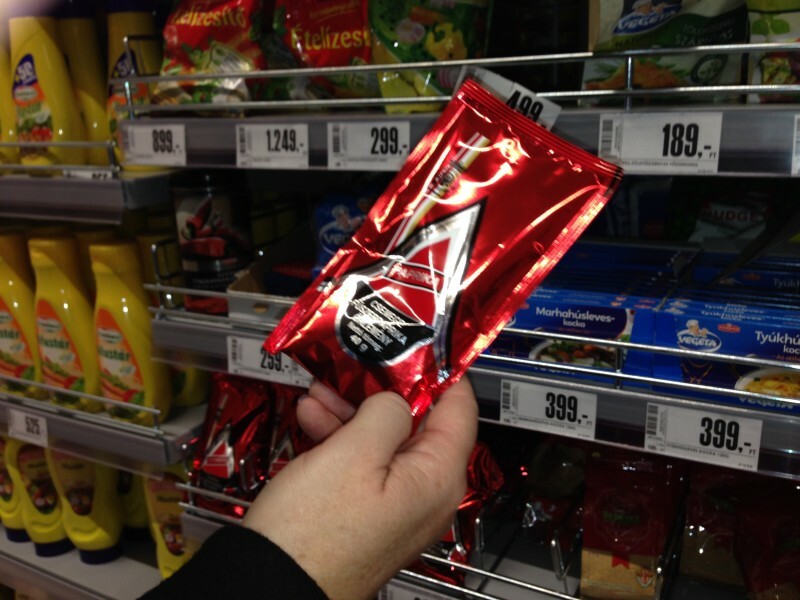 The supermarket in Budapest is great place to pick up paprika packets. If you haven’t already bought your fresh Hungarian paprika from the Central Market (read our shopping tips here) or other local farmers market, the supermarket is a decent alternative. While the paprika won’t be market-fresh, it will still be better than anything you’ll find on your grocery store shelves back home. Paprika is available in powdered and minced versions, hot, sweet and smoked. 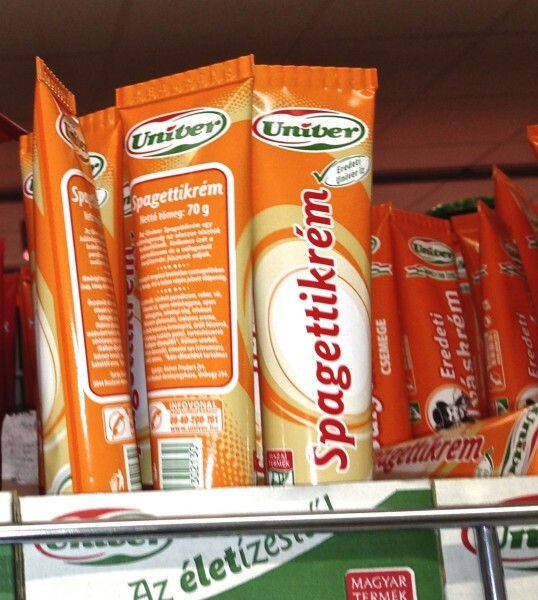 Paprika cream sauce in a tube. 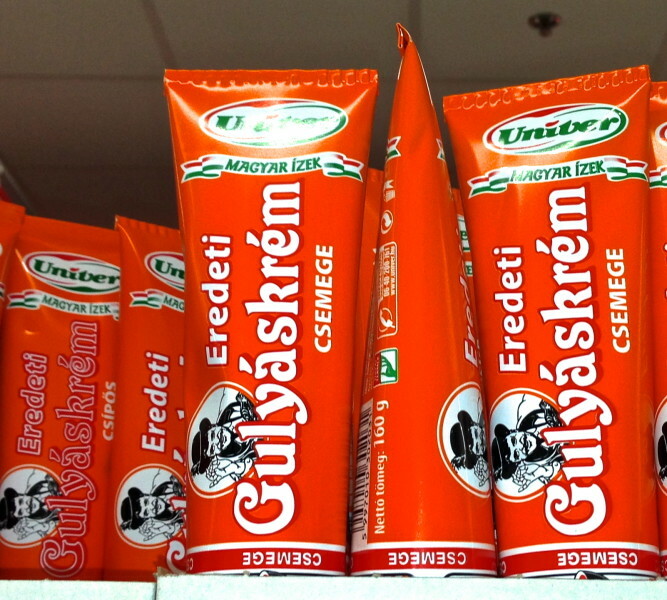 Goulash paste, ready to cook, from the grocery store in Budapest. Goulash paste comes in two versions– as a delicious condiment for sandwiches and as an easy shortcut to make your own goulash. I bought both versions at the Central Market, but saw similar options at the supermarket. Garlic cream sauce comes recommended by locals. 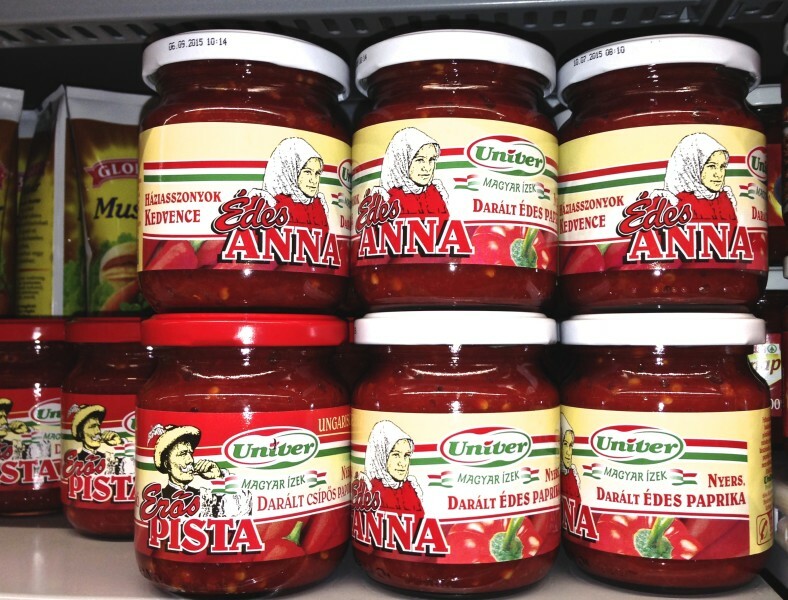 While I stocked up on plenty of paprika and goulash paste in Budapest, I regret not trying some of the other Hungarian condiments. 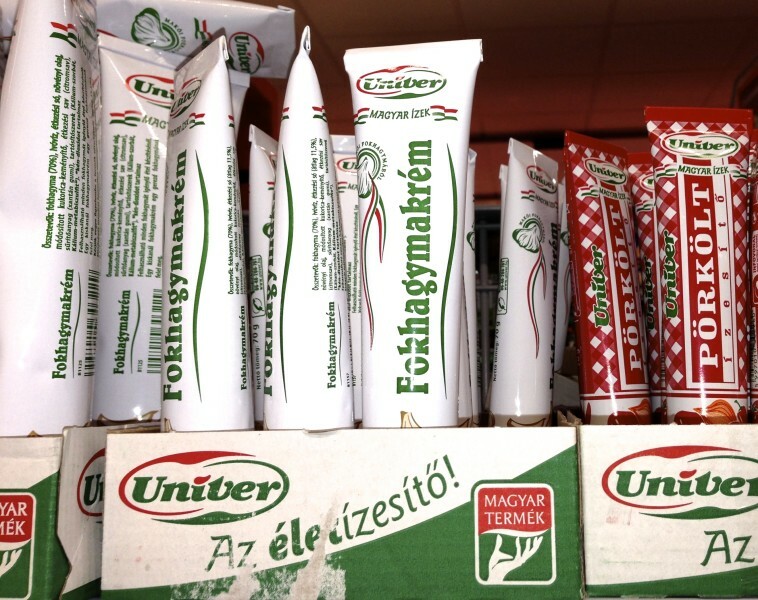 Here’s a sampling of the huge variety of the Hungarian condiments lining supermarket shelves. Spaghetti cream sauce–locals say skip this one. 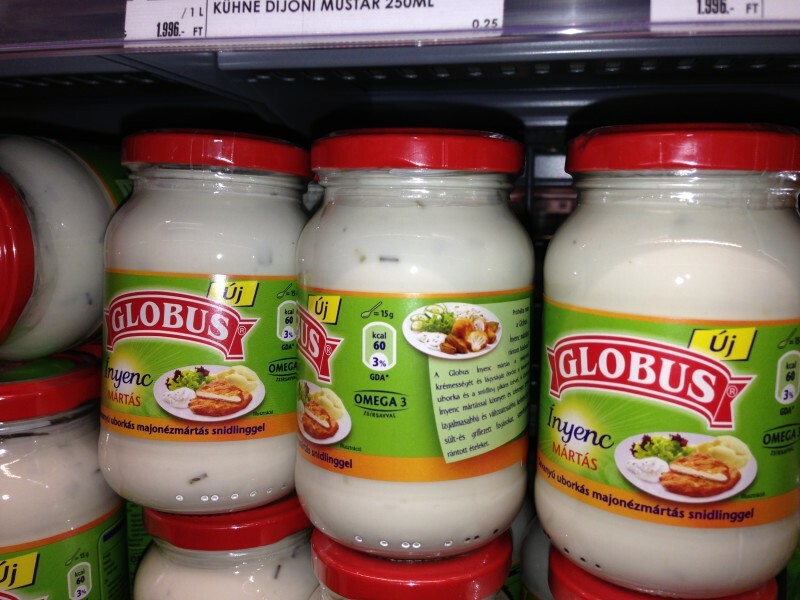 Mayonnaise with horseradish is also recommended. According to my translator, this is a “gourmet sauce”, probably mayonnaise based, flavored with sour pickles and spring onions. And pretty tasty. At the checkout with my Hungarian candy. Hungarians must have a sweet tooth because the shelves were packed with different types of candy. 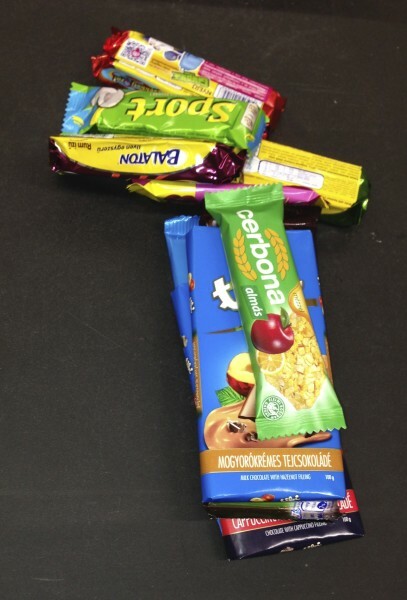 So I was relieved when a local woman helped me sort through the shelves, picking out the best and most popular Hungarian candy bars. I went home with a stack of candy and enjoyed it all. I can’t put my finger on what is different about Hungarian chocolate, but it definitely has a distinct flavor from chocolate you’ll find elsewhere in Europe. 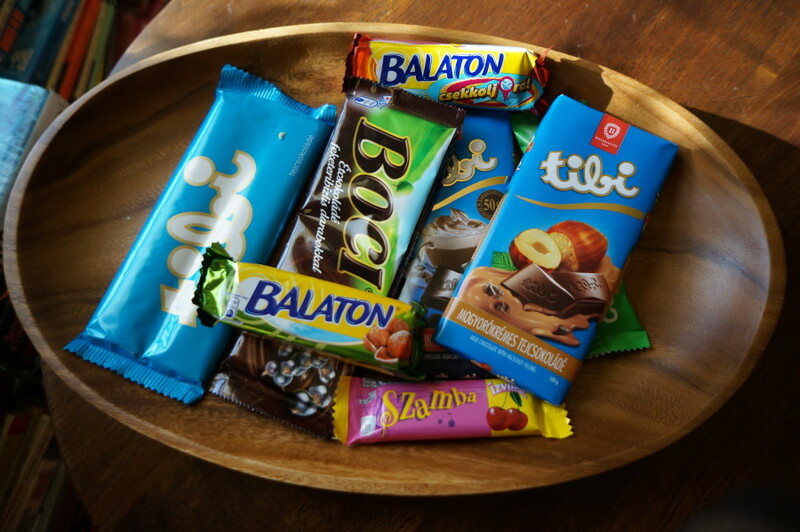 Balon– Named after a Hungarian lake, these tasty chocolate covered wafers. Sport Bar– despite its athletic sounding name, these chocolate bars are noted for their rum flavor. Tibi– a popular brand of standard chocolate bars, available with different nuts, coconuts and other variations. Cerbonna– like a granola bar. 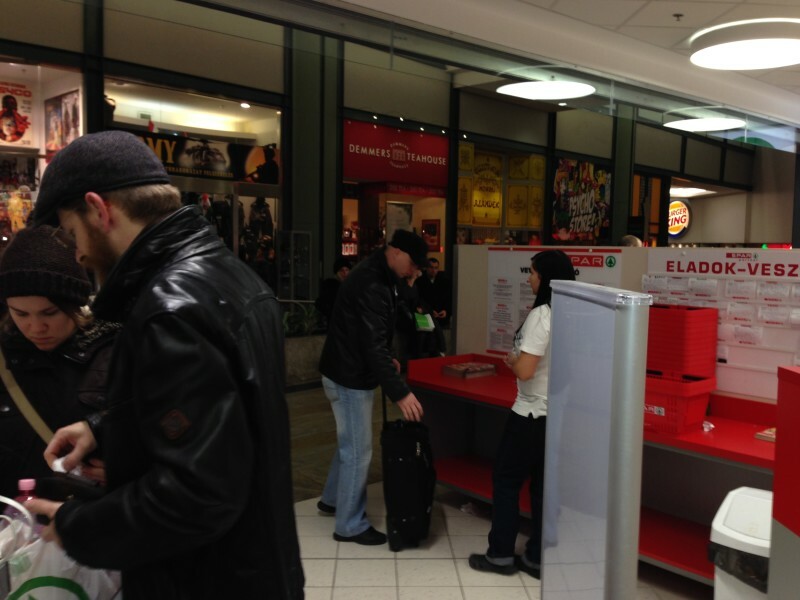 Túró Rudi– a chocolate covered cream cheese bar, inspires strong opinions– you either love it or hate it. 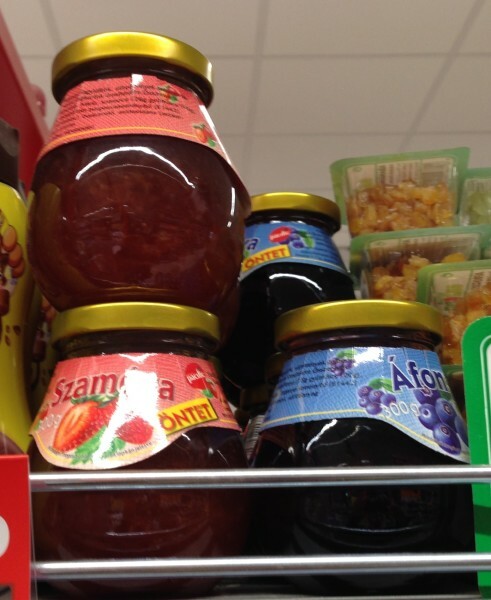 Popular Hungarian jam flavors include strawberry, cherry, prune and currant. 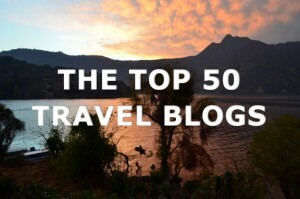 I was surprised to learn that Hungary is one of the European Union’s largest producers of honey. Look for Robinia pseudoacacia (flower honey). When I put these photos up pf canned meat items in a Hungarian forum and asked for help identifying them, one local expressed concern about what outsiders would think about Hungarian supermarkets. 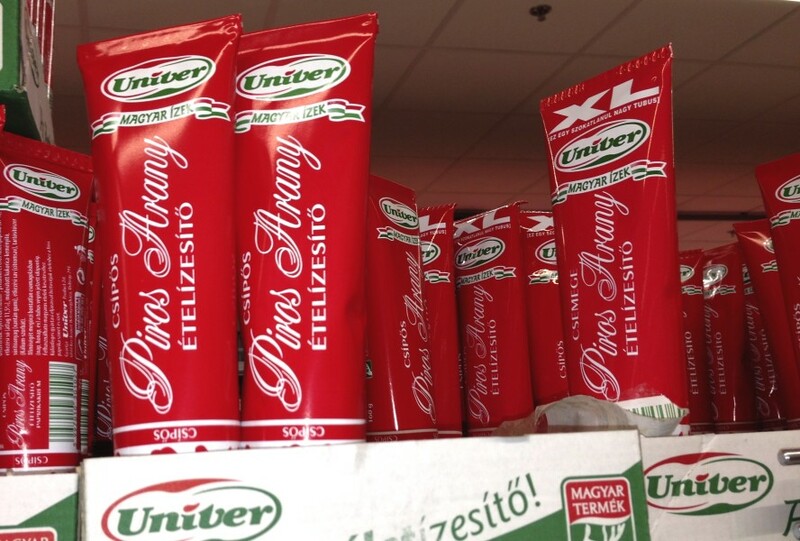 Just to clarify– these are not necessarily the most popular Hungarian items– just the most unusual. 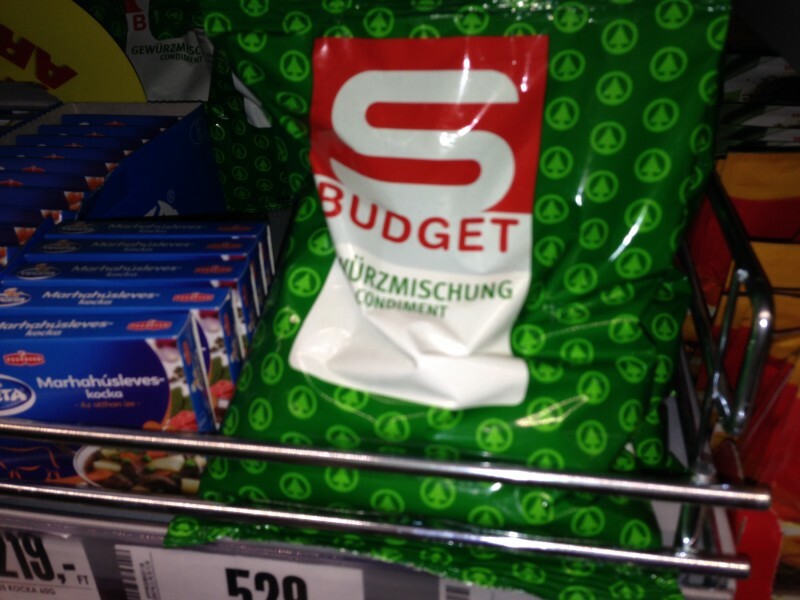 I was curious about this bag of “Würzmischung condiment.” Turns out it’s a spice mix– combining nutmeg, coriander, pepper and bay leaves and is often used to season vegetables. 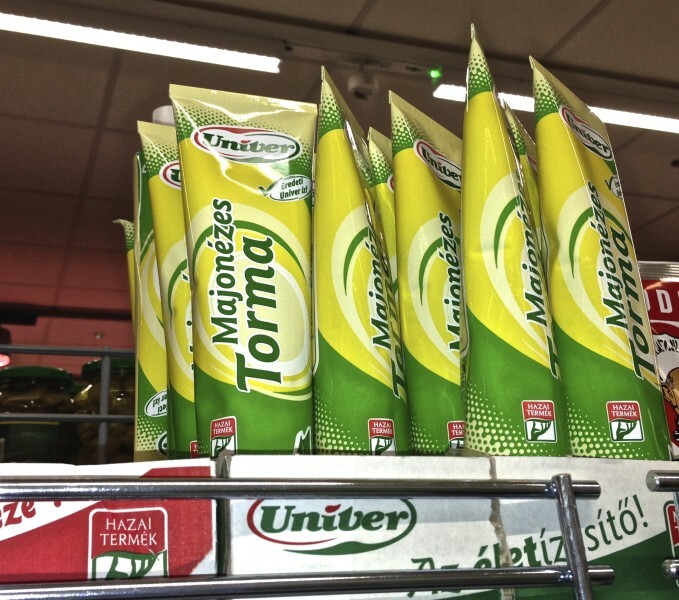 Have you visited a Hungarian Supermarket? 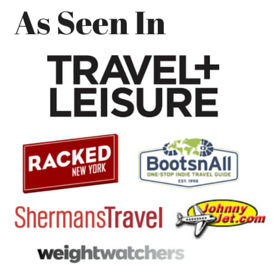 Share your favorite finds in the comments!